One of my favorite fall trips ever happened last year, when we took off and landed in Glasgow, Scotland, and drove northwest to the wild Isle of Skye, in search of sea glass. You can read about it here. 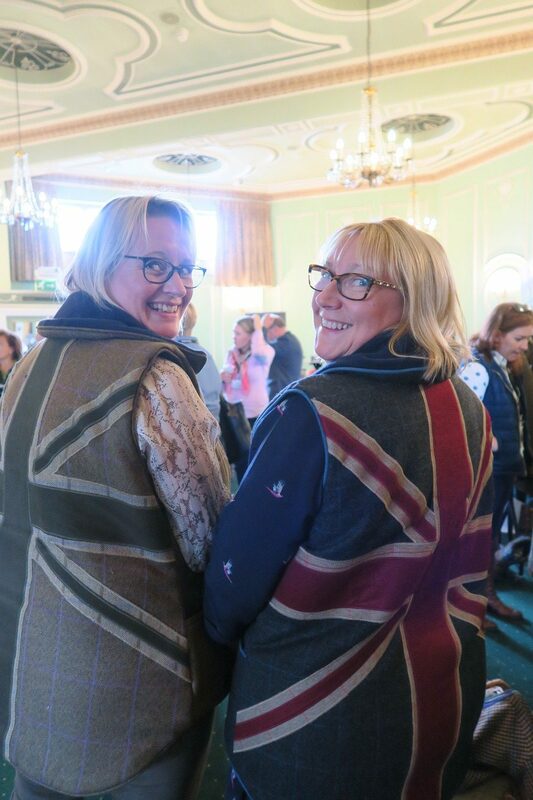 After that breath of fresh air, we traveled south to Worcestershire in England, at Droitwich, specifically to attend The Shotgun & Chelsea Bun Club Conference. Victoria Knowles-Lacks is the founder of the Bun Club, and we have been “mates” for a few years now — going back and forth and spending time shooting together in our respective countries. Celebrating its 6th year of existence, the Bun Club, as it’s affectionately called, has met here for 4 years to network with its membership and learn from some of the UK’s firearms’ industries top dogs. It’s certainly easy to see why the Bun Club would continue to meet at this lovely former residence, now a luxurious conference center and hotel. Isn’t this absolutely gorgeous? 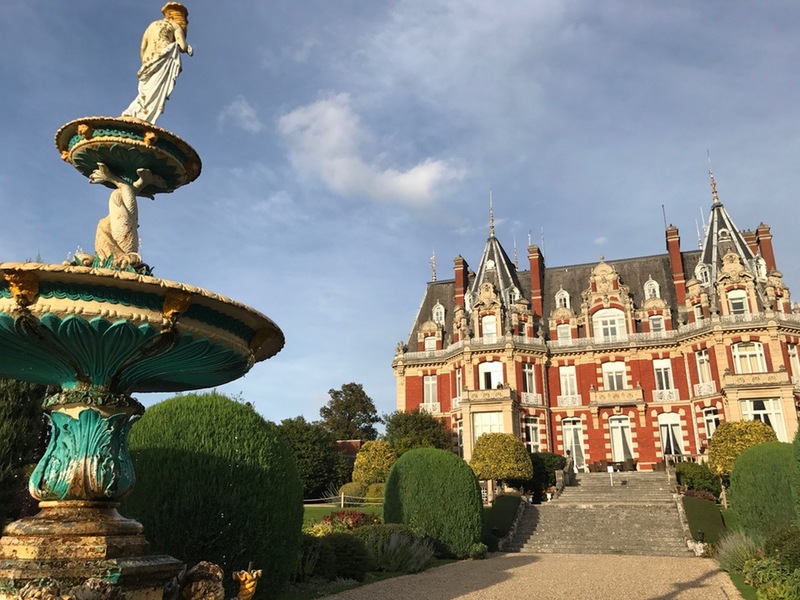 The Chateau Impney impressed. Victoria invited several of the country’s most knowledgable people in regard to the shooting sports — from lawyers to shooters to a panel of women who participate in the shooting sports, including yours truly. 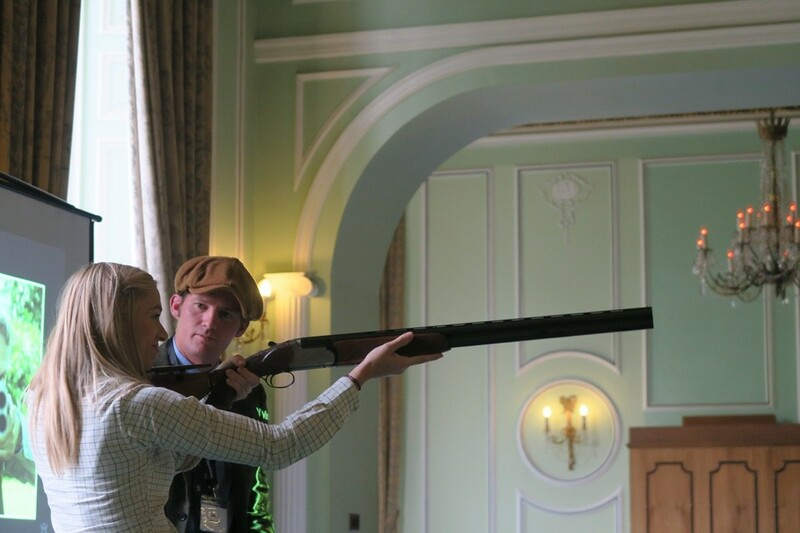 Tom Payne asks an attendee to demonstrate a good shotgun mount. Tom Payne: The foremost professional pigeon shot in the UK, and now a game shooting instructor and specialist gun fitter. Tom talked about gun fit, and about how the mount is 85% of the equation. Cheryl Hall: Cheryl, whom I met the year before when I attended the Bun Club’s National Ladies Shooting Day, is a 30+-time World Champion clay shot. She talked about her rise to the top and about what she loves about the sport. She also reminded the room to never underestimate the power of the Bun Club, and thanked everyone for their support. David and Isabel Bontoff: This dynamic father-daughter team, of the Hull Cartridge Company — which is the official outfitter to the royal family and also, the Bun Club — discussed calibers and loads and made it actually interesting. After the conference, Victoria and I met with David and his lovely wife, Patsy, and Isabel at Warter Priory in Yorkshire for a top-notch driven shooting experience. Peter Glenser: Peter is the UK’s leading firearms barrister and has experienced several courtroom criminal cases involving firearms. You can imagine the Q&A that followed his seminar. Bill Harriman: A regular on the UK “Antiques Roadshow,” Harriman also is an advocate for fair and effective firearms laws. He brought us up to date on the number of shotgun certificate holders in the UK and said that since 1988, the UK has lost at least a third of its shotgun certificate holders and that is a problem for the shooting sports overall. Liam Stokes: As head of the Shooting Campaigns at the Countryside Alliance, Liam is responsible for coordinating pro=active campaigns to promote shooting in the UK. He briefs piiticials in Wales, Scotland and at Westminster. He mentioned that one of the most important things that hunters and shooters can do is take home game to share with friends. Prepare a delicious dinner of pheasant or grouse, and talk about the merits of organic meat and fresh air. 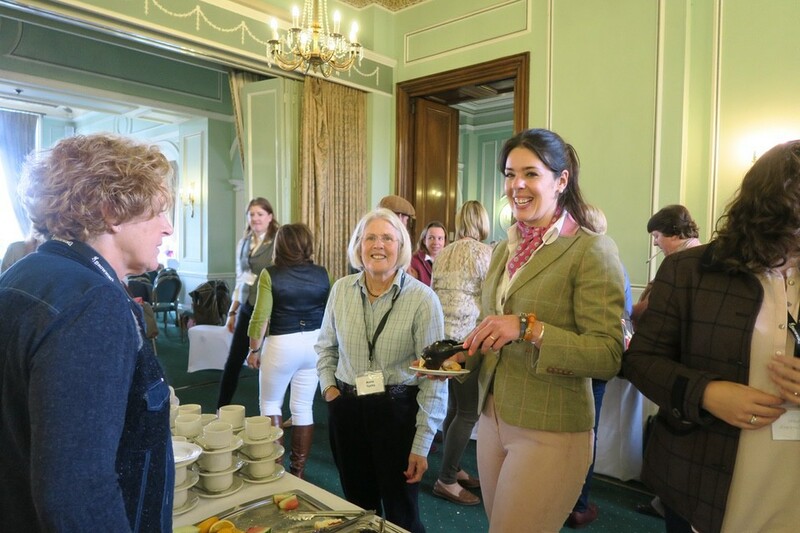 We enjoyed tea breaks throughout the day, and a lovely luncheon onsite at Chateau Impney. Victoria is sporting a very trendy Alan Paine tweed jacket, one of the Bun Club’s sponsors. 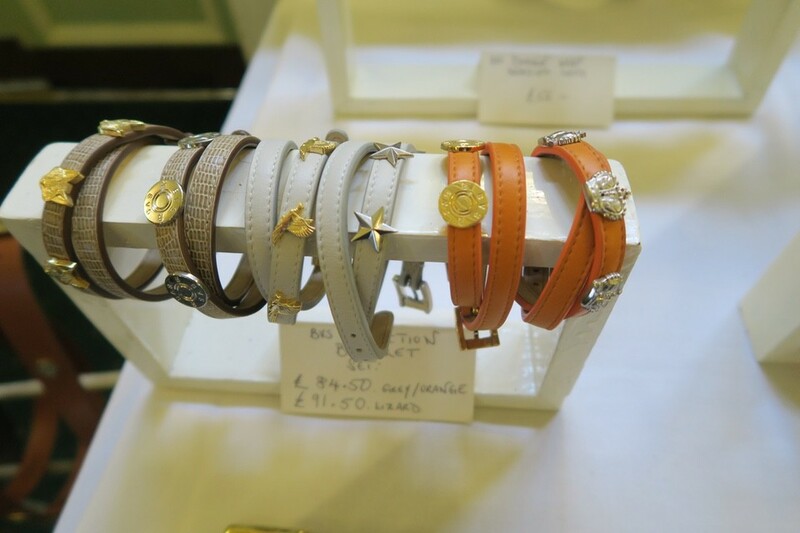 Between presentations/seminars, we could shop a variety of lovely items from totally British merchants. 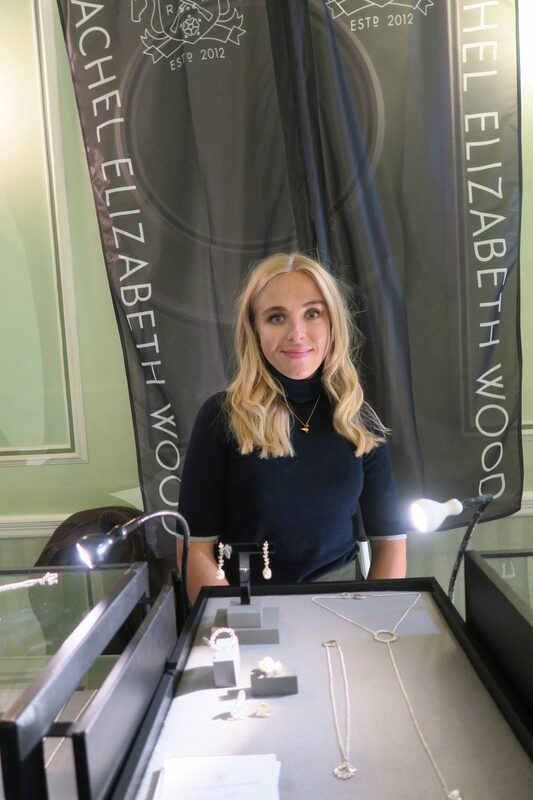 Rachel Elizabeth Wood: An international British jeweler and silversmith, Rachel specialized in contemporary, handmade bespoke pieces for sporting and country lovers. Maude & Fox: Or, “Tweed with a twist,” this company makes contemporary clothing for fashion-concious modern-day women. 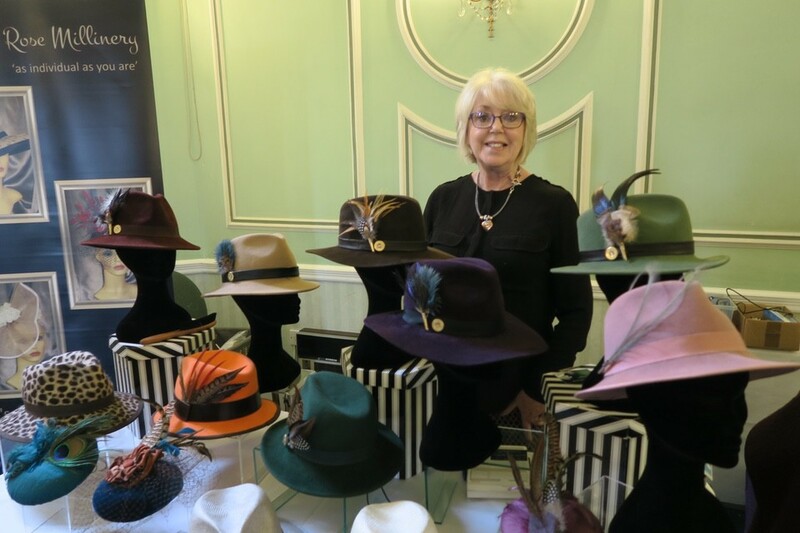 Jennifer Rose Millinery: Hand-made hats, fascinators (alternative to a full-out hat), hatinators ( large decorative design attached to a band or clip) and fedoras for special occasions and also, for driven shooting. MagicBore: A total cleaning system for a shotgun. BVS Design: Belts, collars and bracelets with swappable motifs. 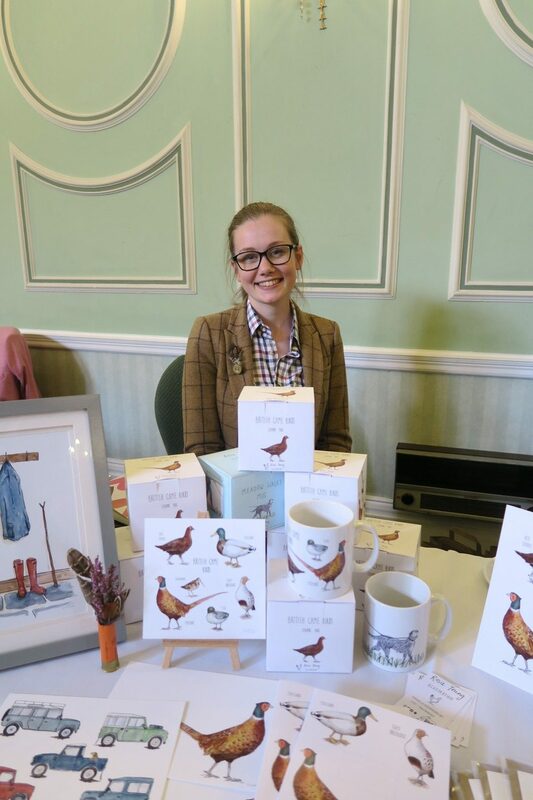 Rosie Young Art: A young illustrator from the Peak District who paints lovely country-themed pictures, often with a whimsical twist. She is on Etsy, too. Claire Hallas Shooting Designs: A member of the S&CBC who makes gun slips. 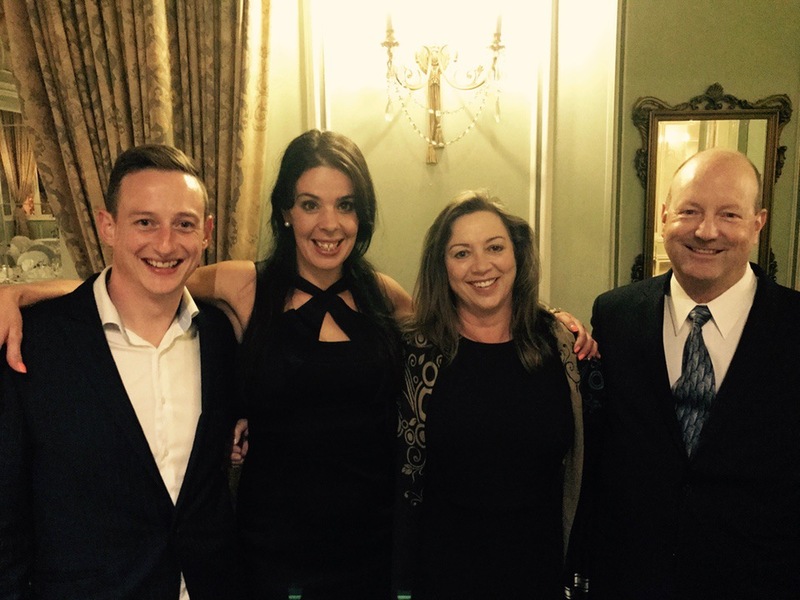 It’s not often any longer that we get the opportunity to dress up and enjoy a relaxing evening among friends, which we did at the Shotgun & Chelsea Bun Club’s awards dinner last year. 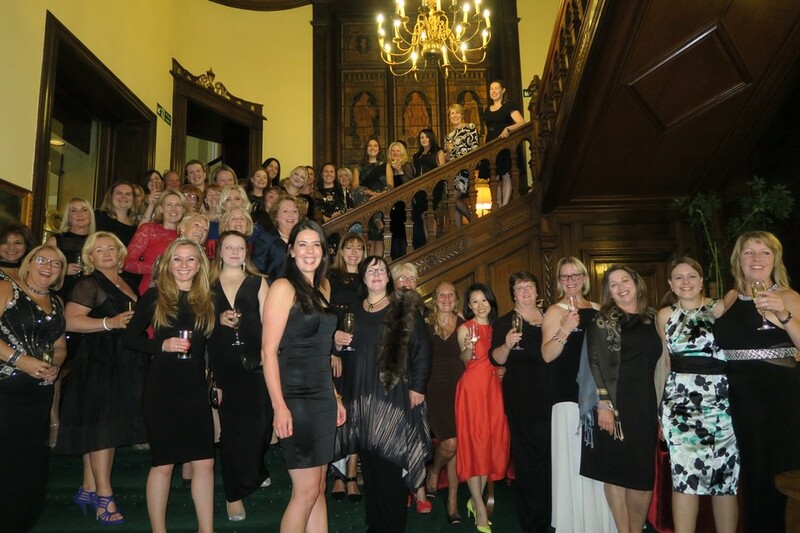 At a wonderful 5-course meal, we celebrated another successful year of the Bun Club and all it stands for among British women shooters. 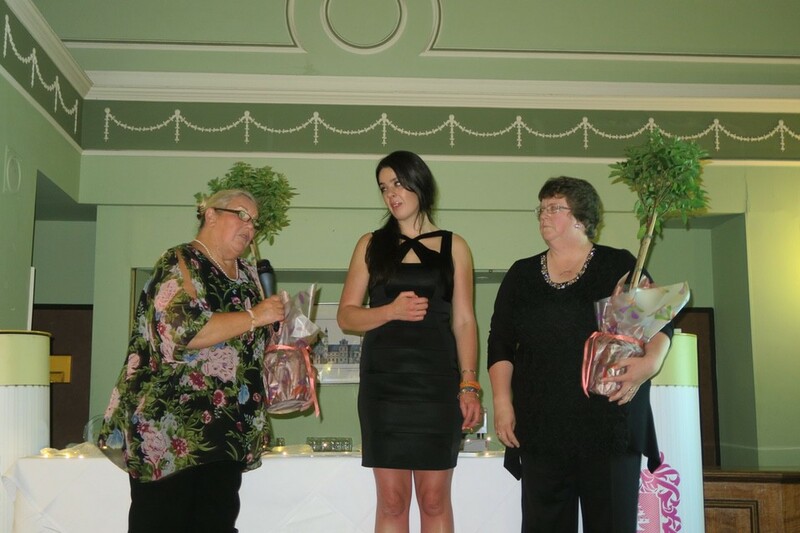 Pip Watson was given a special award for her tireless support of the Bun Club. Pip is in the flowered top. Sadly, Pip passed away recently, but her memory and spirit will live on with club members who knew and loved her. We capped off the evening with a final photo of the group of Bun Club members, and our fearless leader, Victoria, who is in the forefront, in a little black number. Victoria Knowles-Lacks stand at the front of this group of fine ladies, who met after the day’s conference for an evening of fine dining, awards and a few shenanigans. To find more information about the Shotgun & Chelsea Bun Club here and its affiliate, the Ladies Shooting Club, visit this link. Memberships are available outside of the UK, and in my honest opinion, worth every pence. Victoria says there will be another conference next fall.